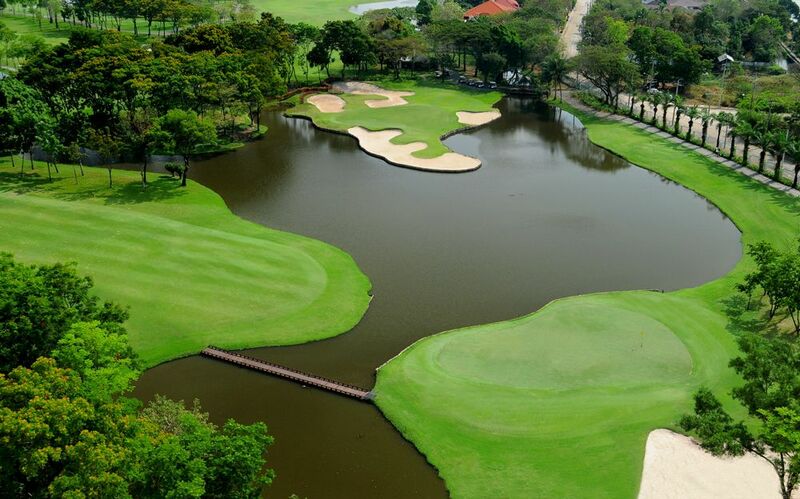 The Bangkok golf club was the venue for several major professional tournaments including the 1993 Thailand Open, the 1994 and 1995 Kosaido Thailand Ladies Open and the final round of the Johnnie Walker Super Tour 1996 which was won by Ernie Els. 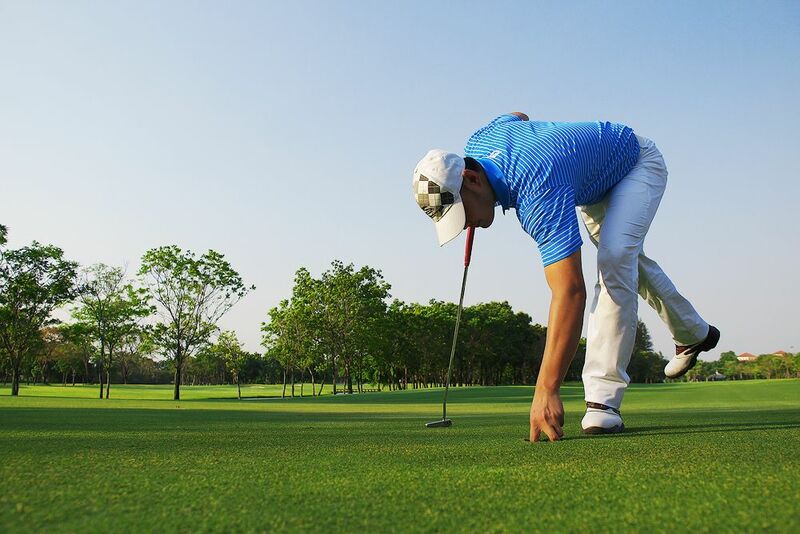 In addition to Ernie, world stars such as Greg Norman, Vijay Singh, Ian Woosnam, Laura Davies, and Thai superstar Thongchai Jaidee have all teed it up on the fairways of Thana City. 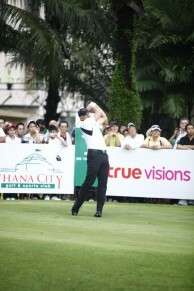 In 2011 Thana City hosted the prestigious Thailand Open. 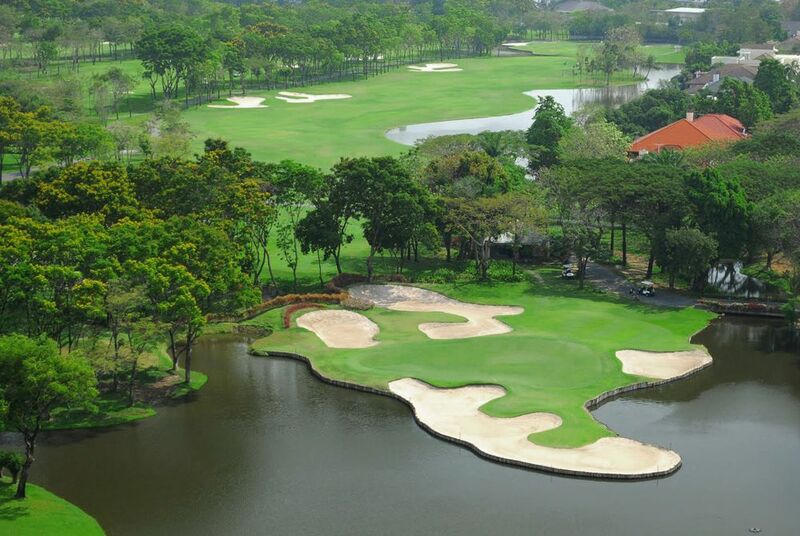 The Thana City golf course and clubhouse have undergone significant improvements and renovations during the period 2012-1018 and now provides an enjoyable modern Bangkok golf experience. There is variety to every hole and golfers should expect to have every aspect of their game challenged. 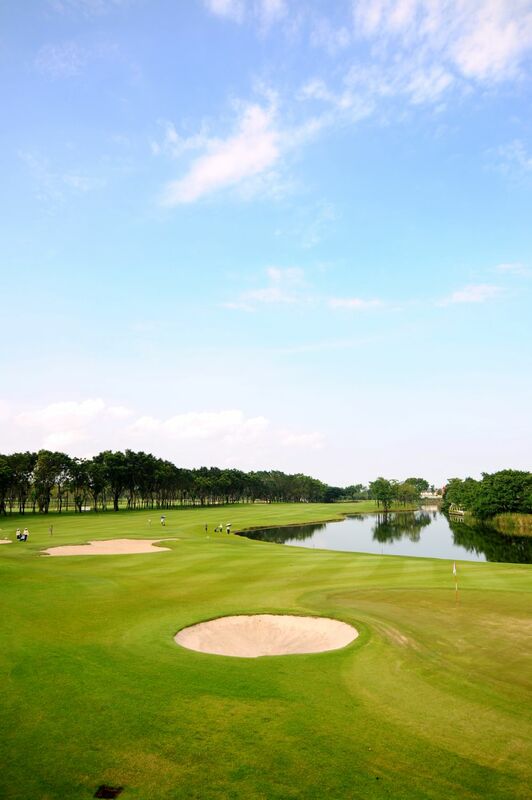 However, fairways are still entirely flat, and it&apos;s easy to see how the course used to be a rice paddy field. 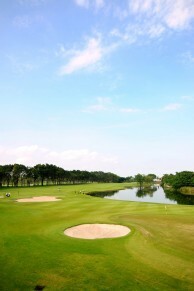 The golf course landscaping makes use of many native trees and flowering shrubs. Plain grasses, reeds, and sand were used to create an illusion of seaside links. 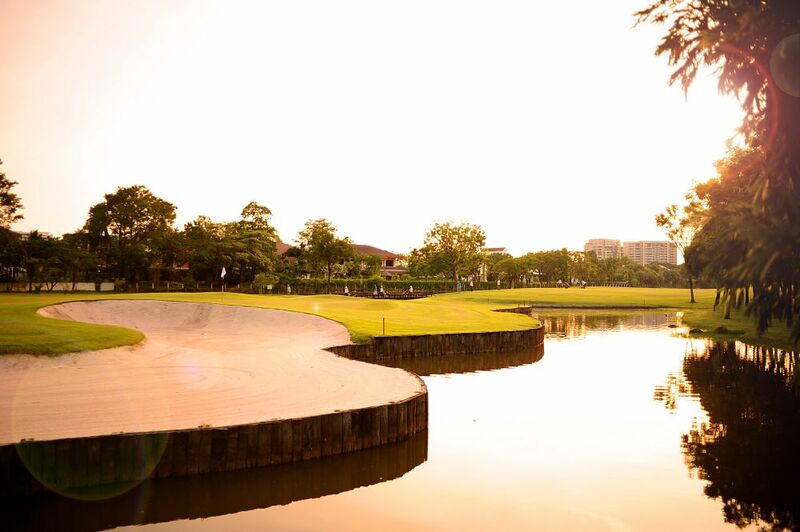 Natural streams, lakes and an abundance of strategically-placed sculptured sand traps enhance the golf course. Greens are well-manicured, and new sub-surface drainage allows for play throughout the year. 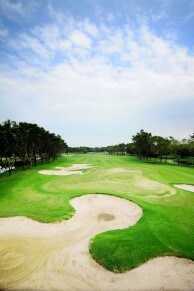 Accurate tee shots are required on almost every hole to avoid the many fairway bunkers and score well. The front and back nine both serve up long par-3&apos;s, especially the 240 yard 16th. The semi-rough is quite wiry and difficult. Fairways may look invitingly wide from several tees, but they have a habit of narrowing down to force more challenging approach shots into the greens. Many bunkers, especially greenside are high-lipped, and there are often plenty of them though often some 20-30 yards away from the edge of the putting surface. Four island greens on the 3rd, 4th, 5th and 12th holes make for some interesting approach shots. 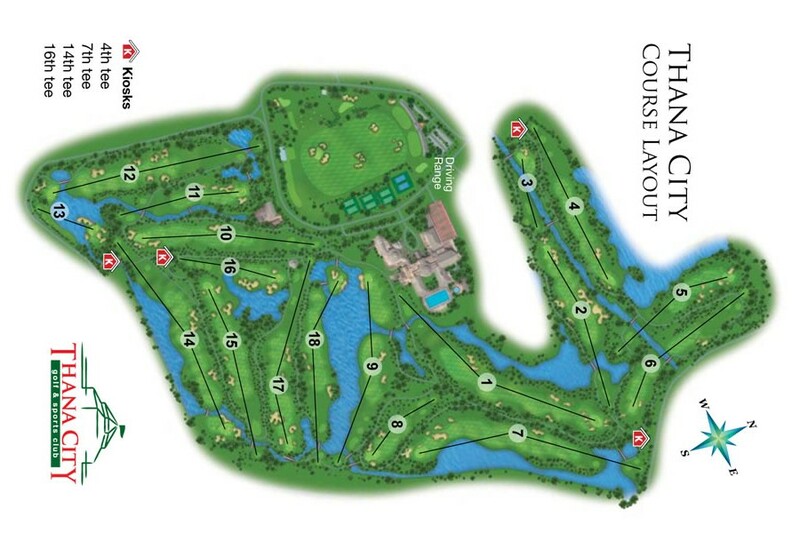 The final 18th hole is particularly tricky as it plays a par-4 to well over 440 yards. Water is in play along with the entire right side and again around the green, so no matter the drive it’s a long iron or wood approach to an island green. If that is not enough, fairway bunkers left and right add to the challenge. Bogey is a good score here. 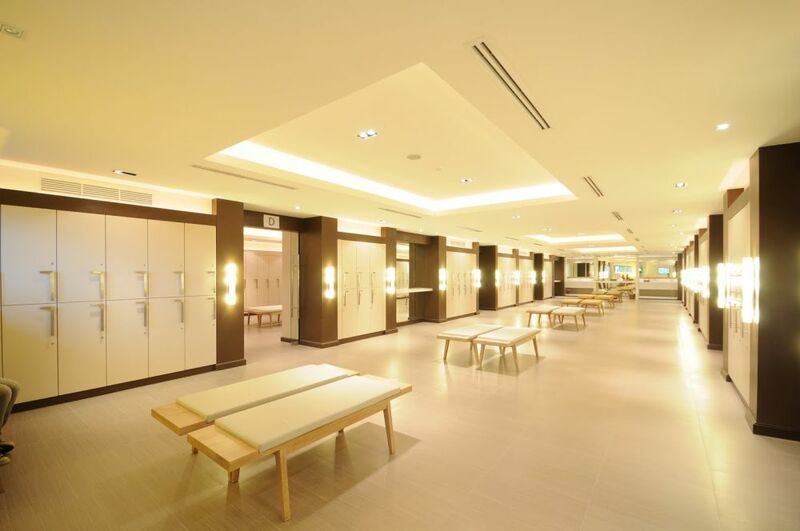 In addition to the golf course, facilities include a golf resort, well-kept modern clubhouse, swimming pool, driving range, practice facilities and a golf academy. 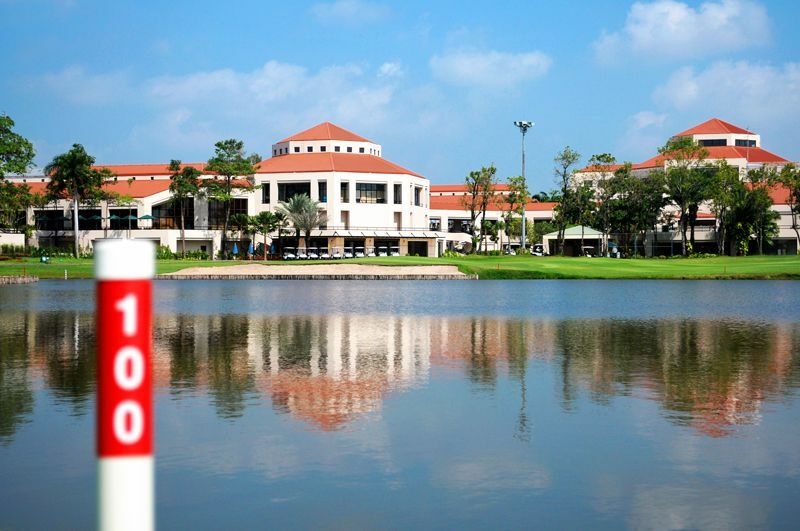 One highlight is the pro shop, which is better stocked and more reasonably priced than other course attached golf shops. 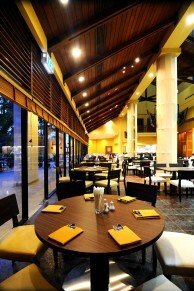 Dining at Thana City as a nice selection of traditional Thai, Chinese, Japanese, and western dishes are served together with ongoing beer promotions at all of the on-site restaurants. The Shark Bite restaurant although nicely designed, suffers from frequent shortages of the most popular dishes. Order before your round and your selected items should be waiting for you afterward. 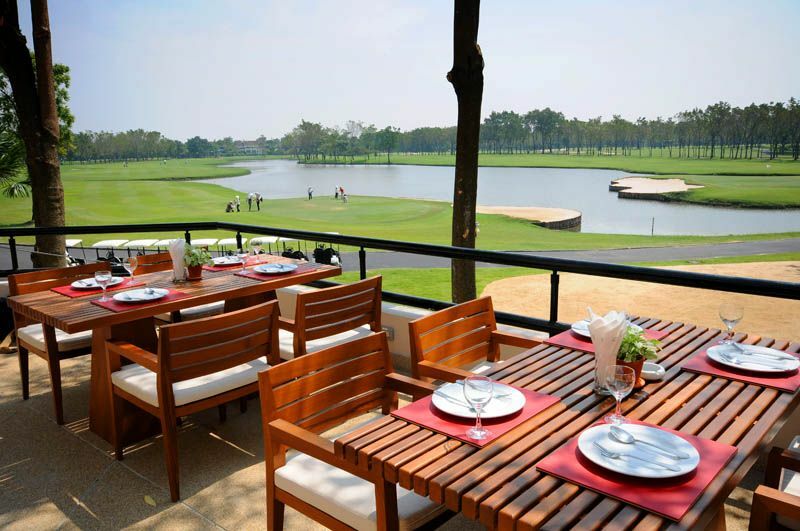 Thana City Country Club’s convenient location and golf experience make it suited for higher handicappers or beginners. The staff and caddies are mostly long-serving and very good at their jobs. 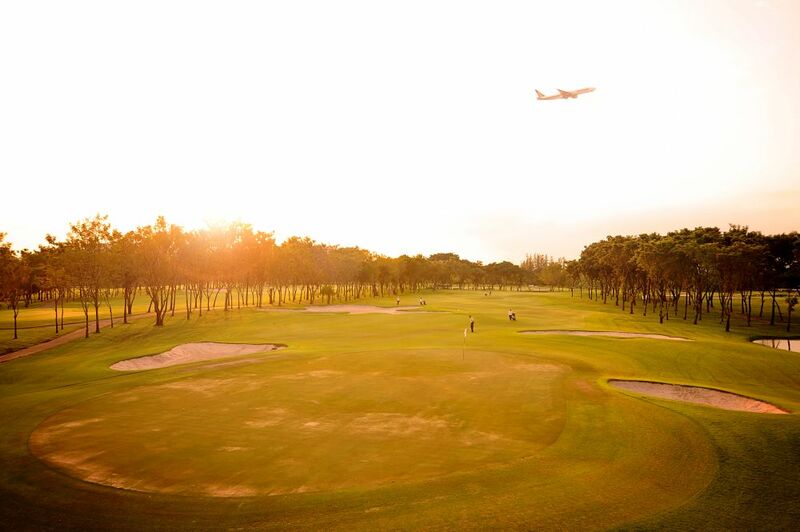 Excellence in service makes Thana City an excellent choice for loose looking for a mid-range Bangkok golf experience. 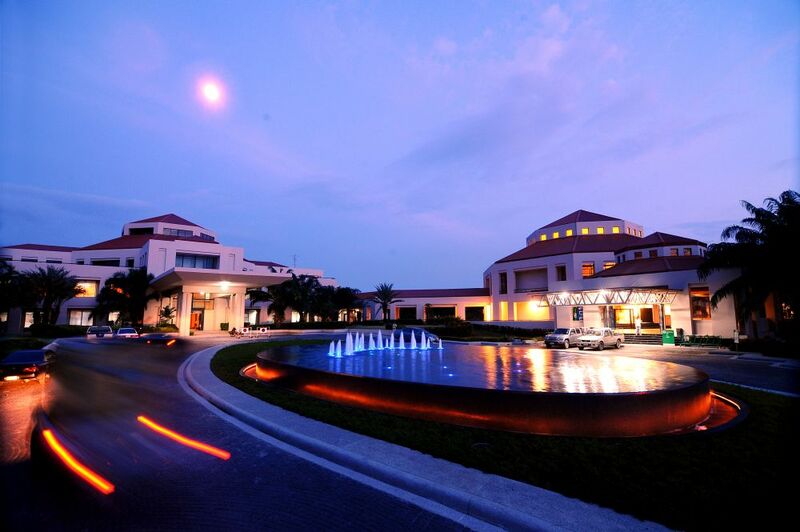 The on-site resort is an option for those who have limited time available. 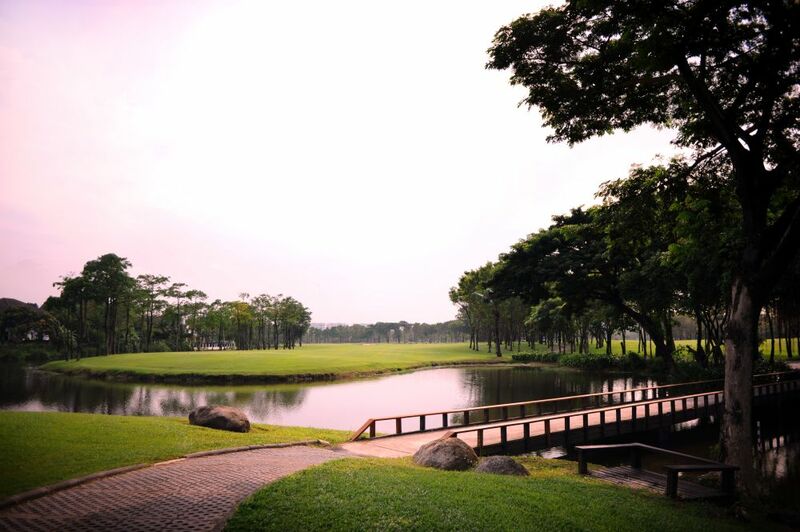 Have you played golf at the Thana City Country Club and took some nice photos that you would like to share with other golfers? Send them to us and we may upload them here. Thank you in advance!